Nobody could stop that maul! Matt Fagerson places the ball down for the try. This is dangerous for the defence as Adam Hastings bursts through to advance the Glasgow Warriors attack. Tom Woolstencroft comes on for Saracens. Nick Tompkins scores the try from close range. 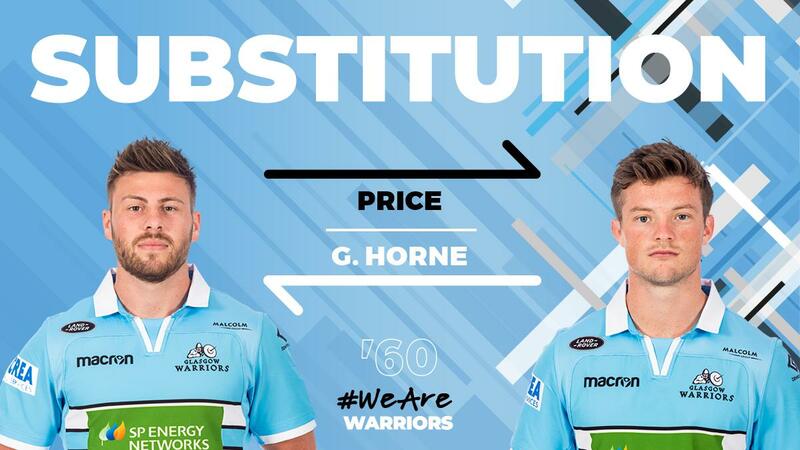 Glasgow Warriors decide to make a substitution, with Fraser Brown being replaced. 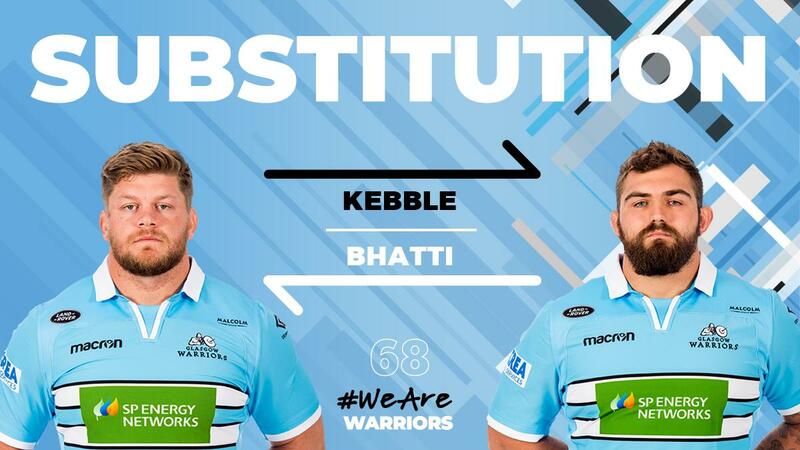 Glasgow Warriors make a substitution with Jamie Bhatti coming on. 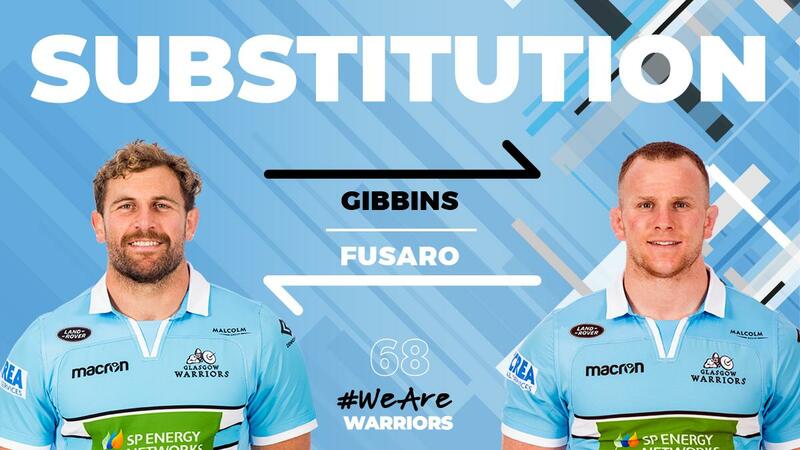 Glasgow Warriors make a substitution with Oli Kebble coming off. Glasgow Warriors sub Chris Fusaro comes onto the field. Callum Gibbins departs for Glasgow Warriors. 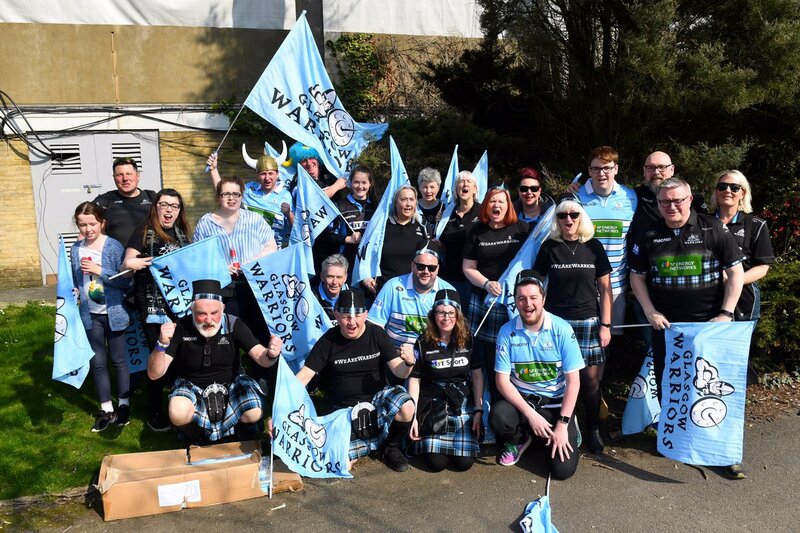 The Glasgow Warriors supporters go wild as Adam Hastings successfully kicks the conversion. Stuart Hogg sets up the try. Silky skills by Glasgow Warriors ends with a try for George Horne. A gap opened in the defence and Stuart Hogg took full advantage. 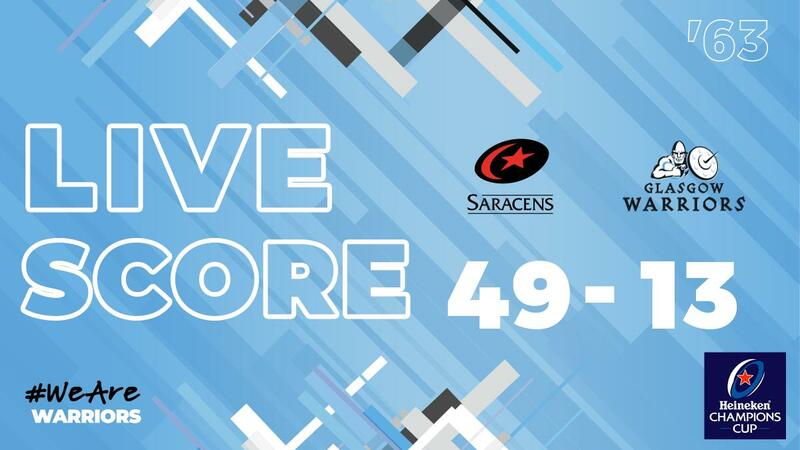 David Strettle intercepts the pass to race ahead and score the try for Saracens. The defensive line has been broken as David Strettle goes through the gap. Alex Lozowski adds the points for Saracens. 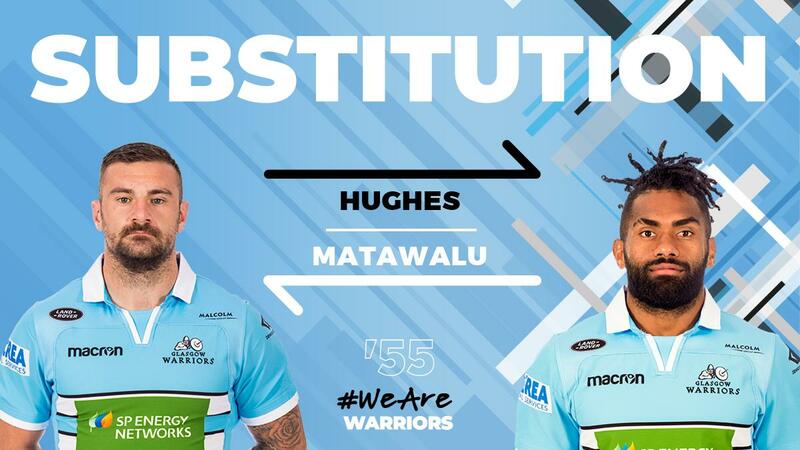 Glasgow Warriors decide to make a substitution, with Siua Halanukonuka getting some game time. 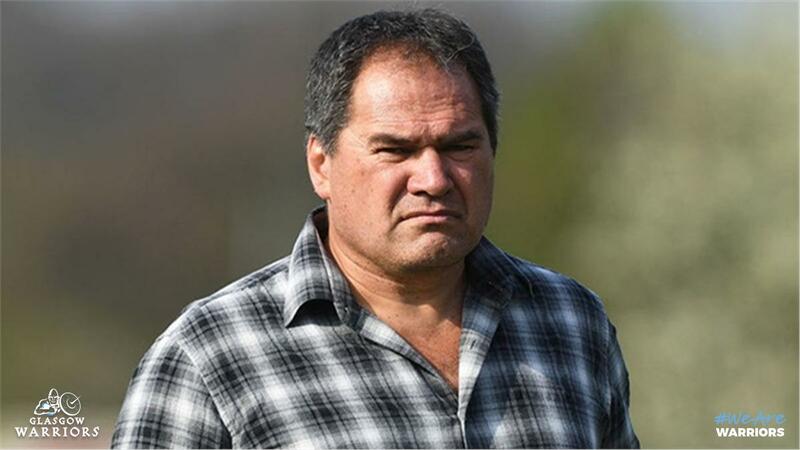 Glasgow Warriors decide to make a substitution, with Zander Fagerson being replaced. Fraser Brown has made 10 good tackles so far this game. 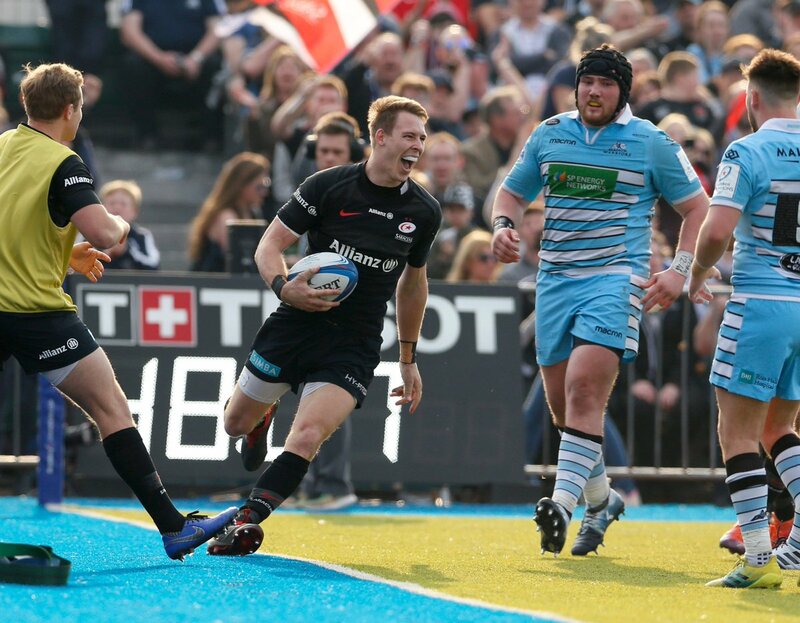 Christian Judge departs for Saracens. What a run here by Jamie George as they gets over the gainline!. Saracens are only a few metres out, surely they must score! And they do with Liam Williams touching down. Liam Williams makes the break as the defence re-enacts the parting of the red sea. Matt Fagerson has made 10 good tackles so far this game. Adam Hastings makes no mistake with that penalty goal attempt. Adam Hastings kicks the penalty. Alex Lozowski makes no mistake with that conversion attempt. 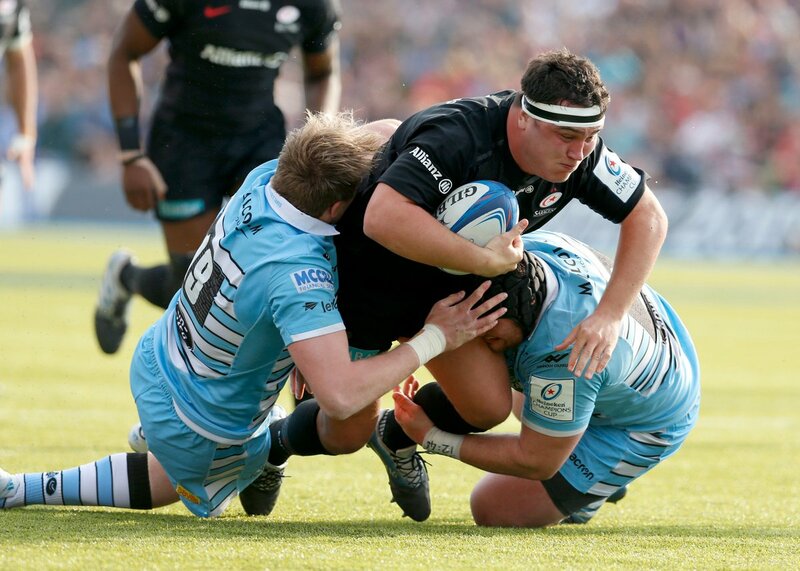 Fabulous play by Saracens has led to Brad Barritt being able to wriggle through a gap. Spellbinding play by Alex Lozowski is finished off with a try. 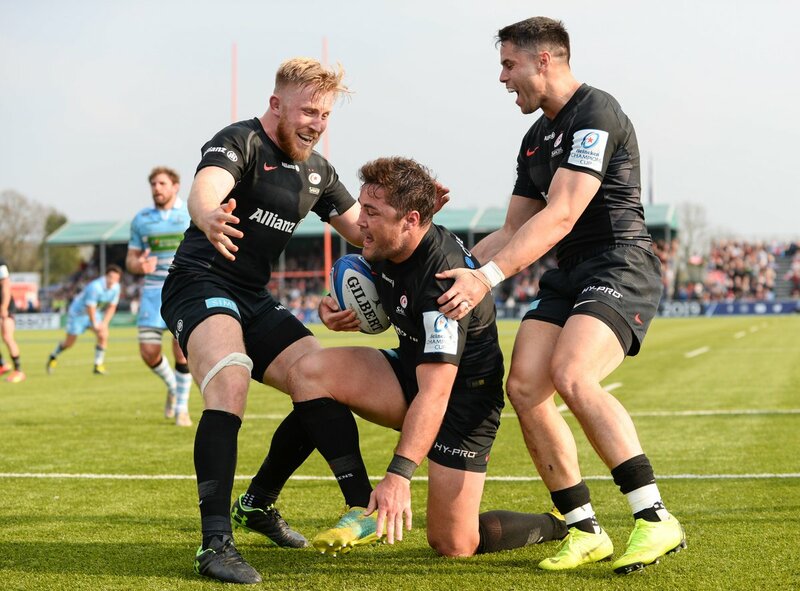 A wonderful passing move by Saracens is finished off by Brad Barritt. 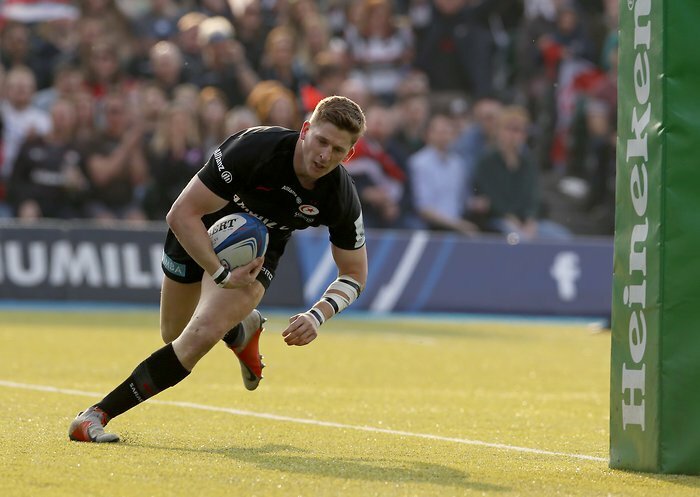 A series of passes by Saracens results in a try for David Strettle. Callum Gibbins has made 10 good tackles so far this game. Alex Lozowski has kicked a penalty goal. A gap opened in the defence and Ben Spencer took full advantage. Alex Lozowski converts the try. That's a great try assist by Alex Goode. 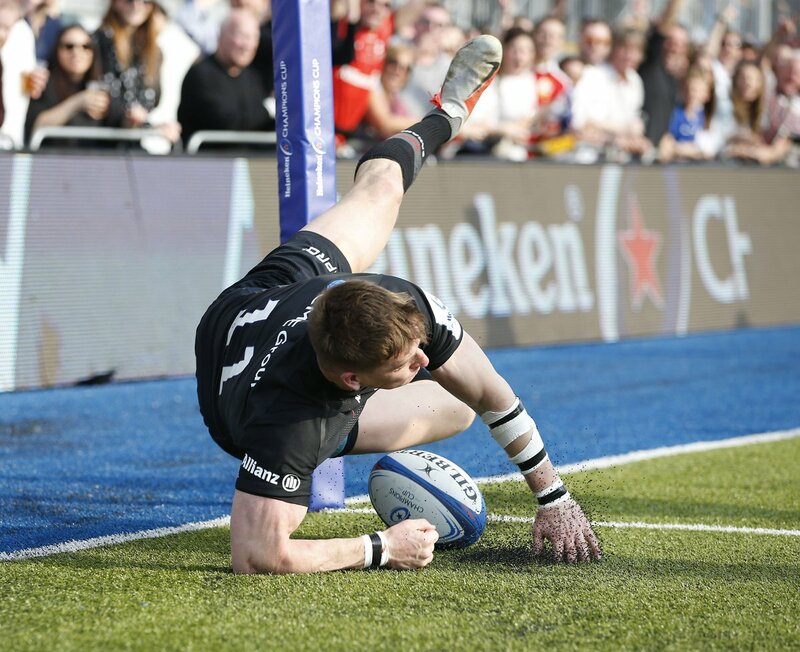 The kick through from Saracens has allowed Liam Williams to touch down. Adam Hastings has kicked a conversion. Rory Hughes sets up the try. 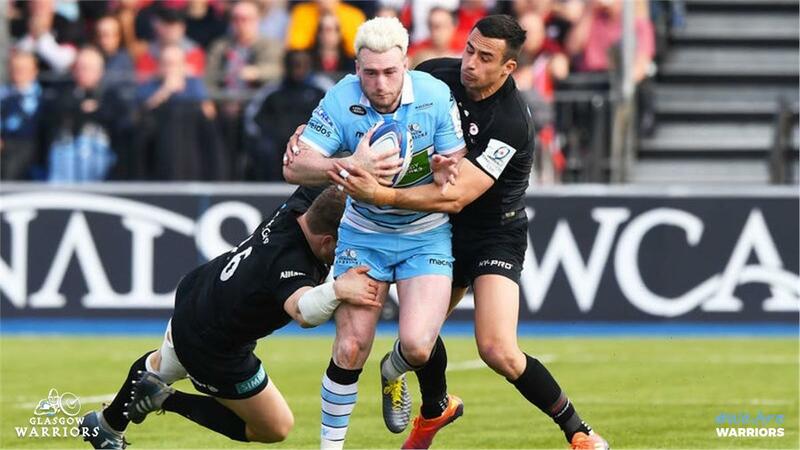 Great hands by Glasgow Warriors leads to a try for Ali Price. The defensive line has been broken as Rory Hughes goes through the gap. So Munster in the semi-finals it is! 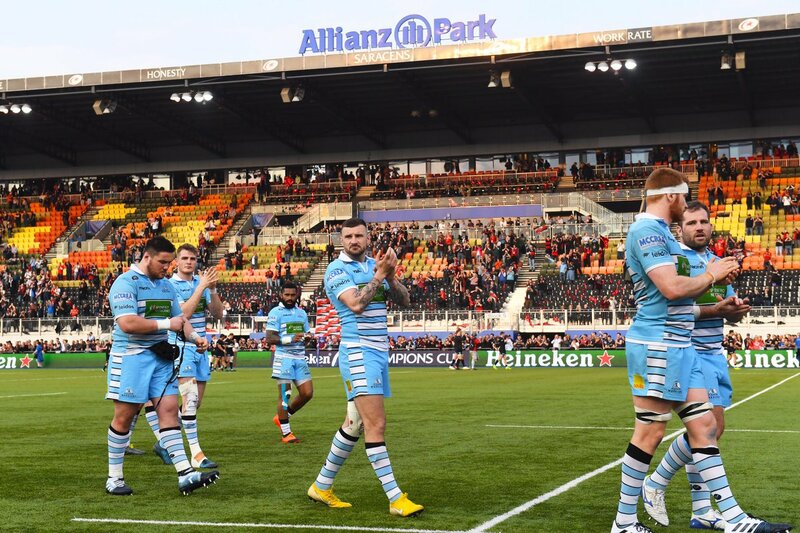 It's all over at Allianz Park. 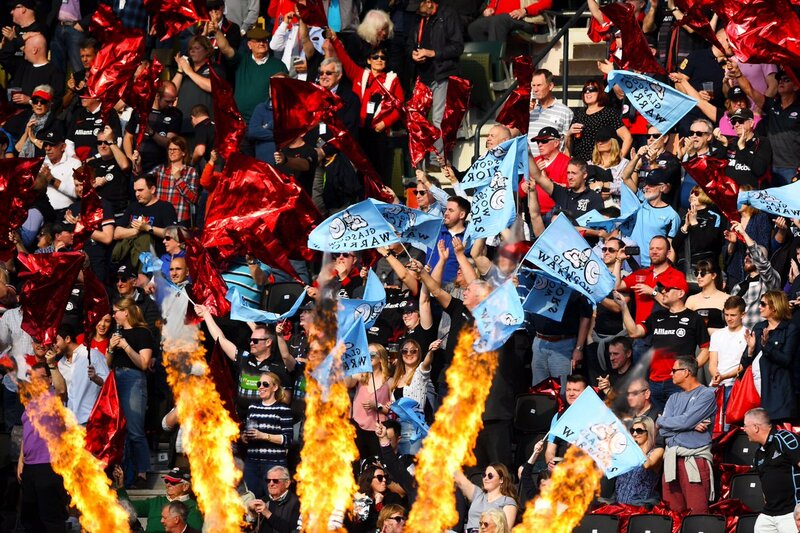 Congratulations to @Saracens who progress to the @ChampionsCup semi-finals. 73' On comes Woolstencroft for the impressive George. 72' A home European debut for @T_whiteley95 as he replaces Spencer. 69' It's a European debut for @max_malins7 who replaces Williams. Congrats Max! 64' Tompkins and Burger are on for Strettle and Wray. Lozowski moves to the wing. @J_George2 goes over at the back of a maul! @alexlozowski10 is spot on with the extras. 59' Another restart out on the full from Hogg. Scrum to Sarries. 55' Beautiful strike from @alexlozowski10 and Sarries lead by 22! Skelton, Judge and Barrington come off for Isiekwe, Lamositele and Koch. 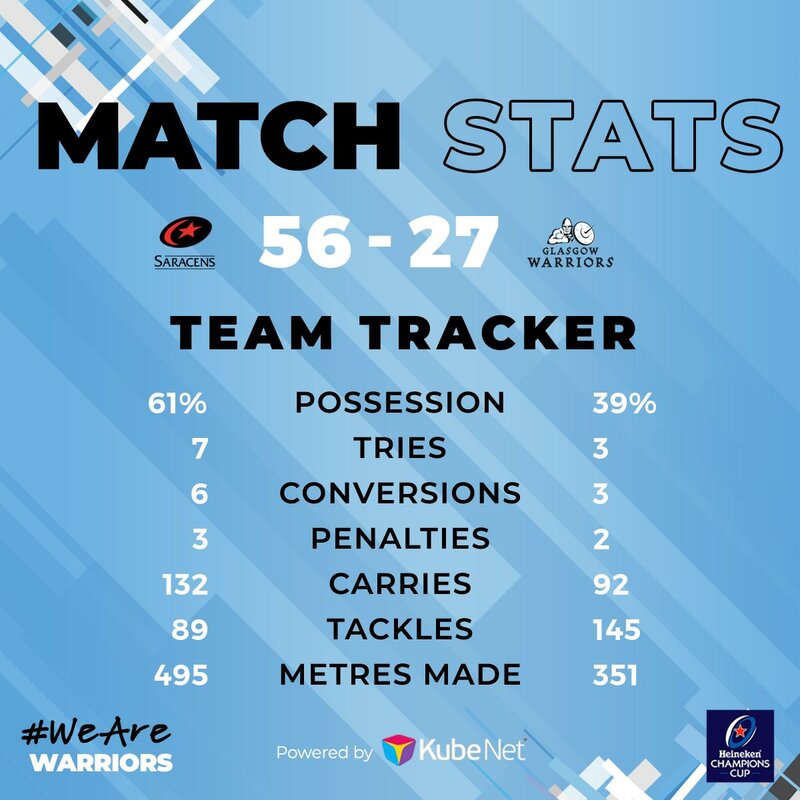 45' A great Lozowski tackle and Sarries manage to turn the ball over in Warriors' half via Barritt's jackal!